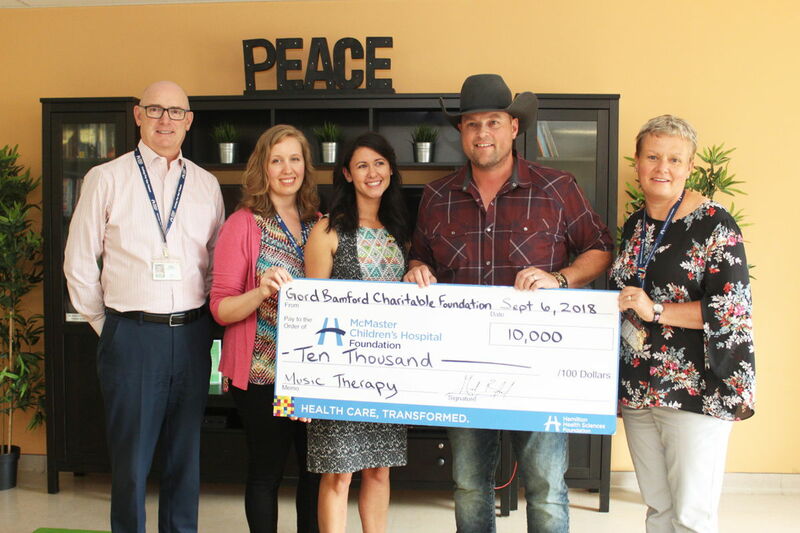 The Wire Megazine Concert Blog: The Wire Megazine is proud to share a 2018 CCMA Media Advisory: The Gord Bamford Foundation Donates $10,000 to McMaster Children’s Hospital In Hamilton Ontario. 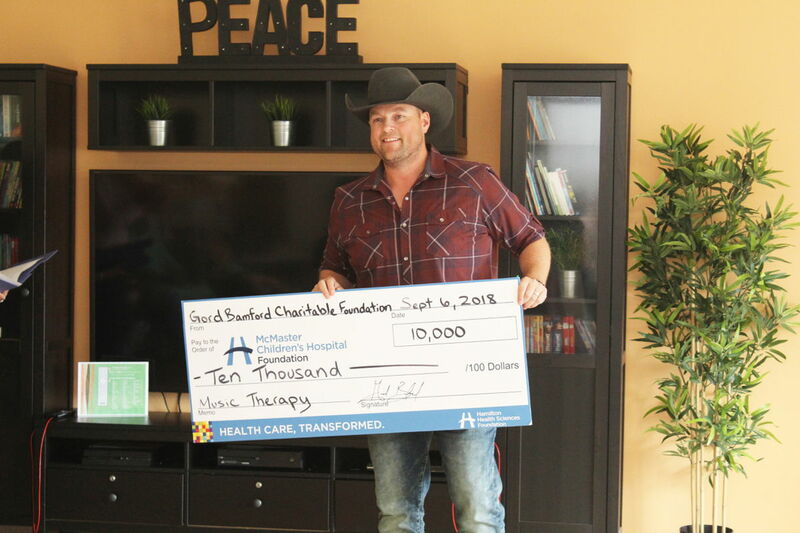 The Wire Megazine is proud to share a 2018 CCMA Media Advisory: The Gord Bamford Foundation Donates $10,000 to McMaster Children’s Hospital In Hamilton Ontario. LEFT to RIGHT BELOW: Dr. Peter Fitzgerald (President, McMaster Children's Hospital), Tracy Akitt (Child Life Clinical Leader), Bonnie Brittain (Music Therapist), Gord Bamford and Orna Richter (Development Officer). BELOW: GORD BAMFORD with $10,000.00 cheque. "Supporting music-related programs like the one here at McMaster Children's Foundation is very important to me. People benefit from music in so many different ways. It can lift your mood, teach you a skill for life, or even provide a healing escape from something you might be dealing with," said Gord Bamford.